If you want to buy cheap senegal shirt for 2018-19 season, buy it here in cheap-football.com , Check our exclusive range of senegal Football Shirts / Soccer Jerseys and Kits for adults and children at amazing prices. Get the cheap senegal jersey shirts, soccer kits with wholesale price, Free Shipping Worldwide! The Senegal national football team, nicknamed the Lions of Teranga, is the national association football team of Senegal and is controlled by the Fédération Sénégalaise de Football.Established in the early 1960s, the team have been regular competitors in the Africa Cup of Nations, where their best performance was runner-up to Cameroon in the 2002 edition in Mali. 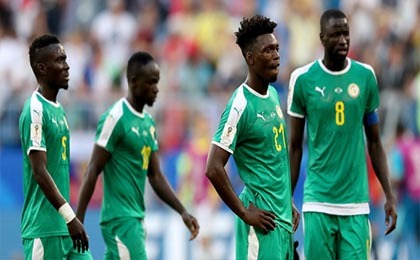 In the same year, Senegal took part at the FIFA World Cup for the first time and reached the quarter-finals, having defeated reigning champions France in the opening game. The team made their second World Cup appearance in 2018, earning 4 points, but exiting in the group stage.